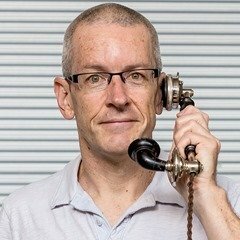 If you’re at all familiar with the goings-on around greiginsydney.com it probably won’t come as an enormous surprise to learn that I’ve had a fascination with telephones since my childhood. 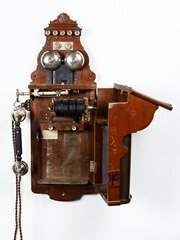 The phone in my mugshot this year is the ornate handset from my Grandmother’s old “Commonwealth Ericsson”, which I was fortunate enough to inherit. 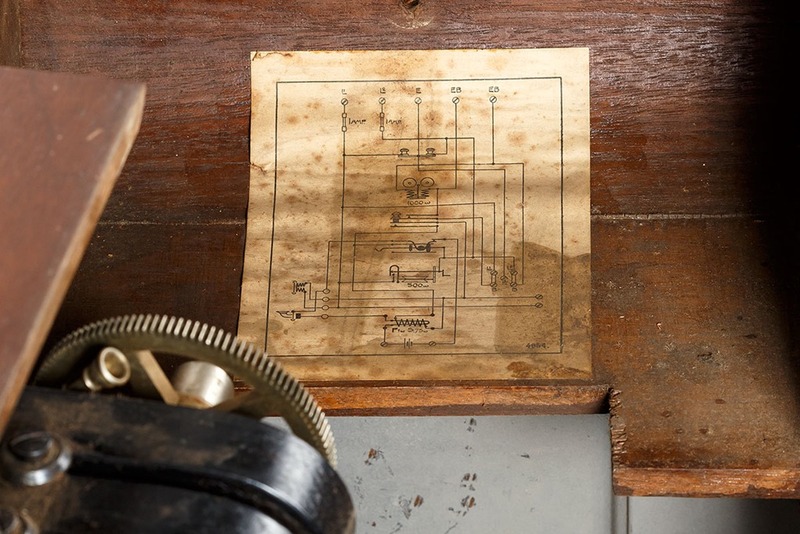 I remember it mounted on the wall in my Grandfather’s office on their farm as I grew up in the 70’s, but I’ve always recollected it was disconnected, having been made obsolete by a bakelite magneto phone on his desk. (Geurie Exchange wasn’t converted to automatic until the ~mid 80’s). Appreciating it as an antique by the 80’s, my mother was kind enough to “remind” me that I’d dismantled another of these in my younger years, and I sadly do have vague recollections of pulling something apart on the lawn in our own yard, recovering from it the horseshoe magnets that were fun to play with. (I don’t know whose it was to apologise to them). 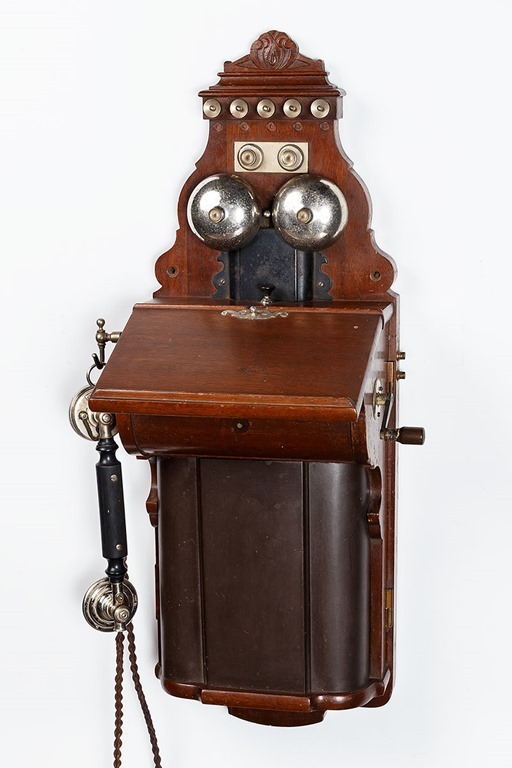 Australia adopted as its first standard wall instrument an Ericsson Fiddleback Wall set which was built in Sweden to Australian specifications and known as the “Commonwealth Ericsson”. 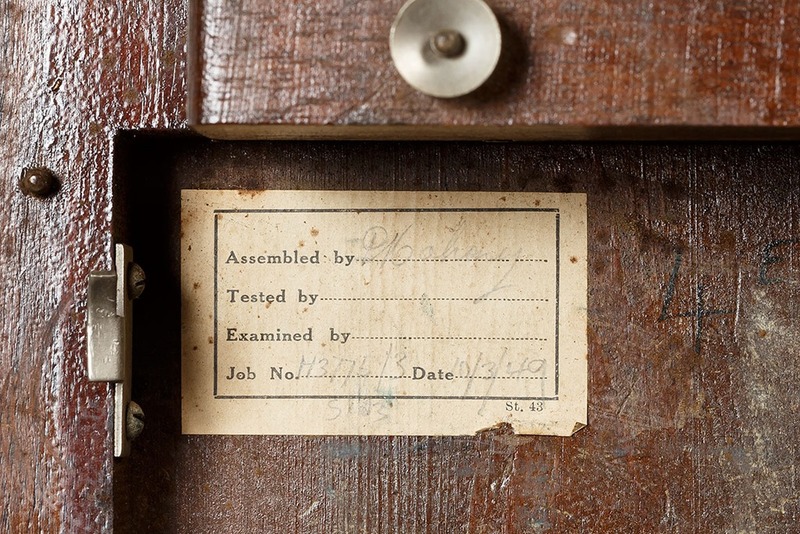 These instruments date from the 1890’s and many were still in use at the time of the Second World War when the PMG’s Telecommunications Division reissued recovered instruments as the “Tucked” version (Fig.20) (a wartime expedient due to shortage of new instruments). The Commonwealth Ericsson is in many ways the best constructed and handsomest of standard Australian wall sets. 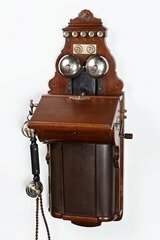 Technically, it was said a call could be made between Sydney and Melbourne using two of these instruments without the need for repeaters. The craftmanship which went into the construction of the sets remains to this day a credit to their builders. Timbers usually used in construction were walnut or oak. 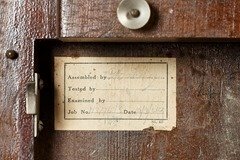 This instrument was installed in very large numbers being the commonest magneto instrument in existence until the 1930’s. From the circuit (Fig.19) it will be seen that to prevent the bell from ringing when signalling out from the telephone, it is necessary to operate the press button. Contacts of the press button, when operated, open the circuit of the bell and short circuit the secondary winding of the induction coil. This feature can be used to prevent excessive sidetone from interferring [sic] with incoming speech in noisy situations. Metal straps which earth the bell to either side of the line are included which, in conjunction with the exchange ringing generator and a suitable switching arrangement there, can be used to provide selective ringing on a three party line as many of these instruments were used on rural party lines. When you swing it open there’s not a lot to be found inside. Under the switch-hook (from which the handset hangs) is the 4-bar generator, and nestled underneath that is the induction coil, a critical component of the speech path in both directions. The remaining cavity exists to house a pair of 2 x “No.6” batteries, which when wired in series provided 3V to power the carbon transmitter (the microphone). It’s somewhat amusing to me these days that IP telephony has come full circle, and your phone once again needs local power to work, where the intermediate “CB” and automatic technologies now considered obsolete were all powered from their local exchange. The phone remains a treasured item in my collection, and a lovely link back to a very sweet lady. RIP. And as always the hubby for the awesome photos.